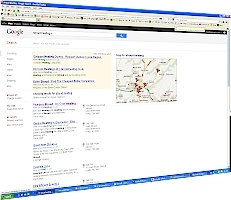 We will optimise and submit your website to the major search engines and add a sitemap. This is included in the price of all our packages. All websites are search engine optimized to your specific keywords or key phrases. We make sure that your pages are validated. There are certain steps we take to ensure that your website is indexed properly by the major search engines and, as a result, many of our clients are on the first page of Google for their specific search terms. It really depends on the amount of competition there is for your search terms. For example, area specific searches are easier than nationwide search terms. If you would like to get onto the first page of Google for the search term "shoe shops Stroud" then it is fairly certain we will be able to manage that for you. However, if you would like to be successful with the search term "shoes", then your best option is to employ a specialist SEO company! Of course, these are both extreme cases. For those terms just a little more difficult than "shoe shops Stroud" there are things that can be done either by yourself or by us, without resorting to expensive SEO. We list several possibilities below. All of the above steps are necessary in order to become visible on Google, Bing, Yahoo, etc, but remember that the most important thing is website content - that is after all why people visit your website, whether for specific information about you or your company or for more general information. And when all is said and done, what the search engines most want is to provide relevant results for their users. Registering with all the main directories creates quality inbound links which will boost your "popularity", an important part of the way Google assesses websites, and of course you may very well get extra traffic from these websites. 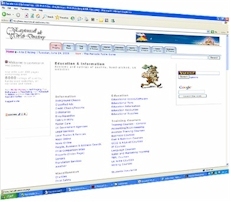 You will also want to register with directories that are specific to your business. We do not include this service as standard. Location might be important to your busines. If so, then you should definitely be on Google Maps. 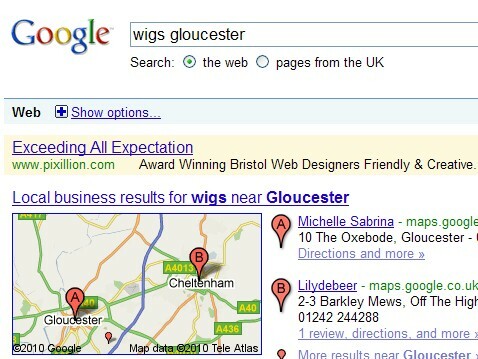 As an example, if you type "wigs gloucester" into Google, you will see that there is a full address, phone number, directions and a full map. This is because we submitted the client to Google Maps. We can set up accounts for you and link to you from our accounts to start you off if you do not already have accounts. Links can be an important way to build traffic. 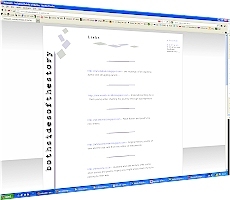 Some clients like to have a links page. This where you can link to other websites. And in exchange you should ask that they link back to you. Be careful, however. Please make sure that the links in genesral are relevant and have some association with your own website - always think, "Will my visitors be interested in visiting this website?" However, a link from an already well established website (like the BBC for example) is very valuable. Inbound and Outbound links are important with Google. But avoid irrelevant links and “link farms” as these can only damage your site. We own the popular Easytorecall UK Web Directory and so of course all our clients get a free listing on as many pages and categories as they want! It has over 800 pages comprising over 8000 listings of quality, handpicked websites, all reviewed and rated. These are the listings on the right hand side of Google, (and sometimes right at the top of the page) where you pay for your advert to show for given search terms. You pay everytime someone clicks on the ad. If you are clever about the wording in your ad and the terms you bid for, you can do well on this. We have quite a lot of experience in this area so if you would like us to run the campaign for you, please let us know.